No matter how some folks felt about Man of Steel’s take on the Superman mythos, there’s no denying that the Zack Snyder-directed flick made tons of money. If you’re wondering about how this year’s other Kal-El-centric entertainment offering performed, it seems like the Injustice: Gods Among Us video game did well enough to excite the suits at parent company Time Warner. And they’re planning to dip into the DC Comics catalog for more video game ideas, too. We are by far the biggest – probably the only studio that’s making money on the game side like this. It’s a business that we’ve built from scratch with some acquisition but we have really three key franchises to date. It’s the local franchise, it’s the Mortal Kombat franchise, and it’s the Arkham of Batman franchise, those three are very significant. We are having a very good year. We have two more big games coming out, LEGO Marvel coming out as well as the next installation of the Batman Arkham series coming out in October as well. …but we are on track to having a great year in games and we feel very good about where that’s going. And as you said it’s being driven – the new franchises that we are going to be zoning are going to be DC franchises. We think there is big opportunities to build off of what we are doing throughout the rest of the company in games as well. As messy as things have been for DC Comics as a publisher lately, it’s still tantalizing to think about the characters and super-teams that could become games in the future. 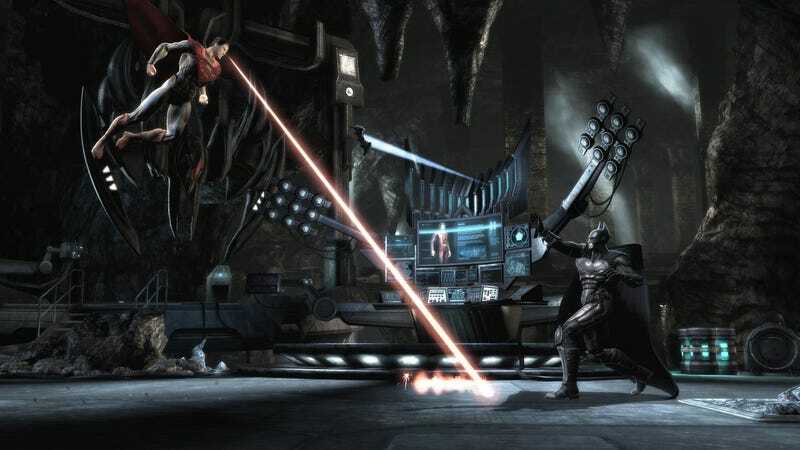 There was loose talk about a Suicide Squad project being in development and the new Warner Bros. Montreal studio—the ones making Batman: Arkham Origins—was created with the specific mandate of turning DC properties into games. So, let’s dream here, what DC character do you want to be the focus of a game?